Are you looking for a guaranteed way to help your child to catch up at school? What is the Speech to Spelling Code™ and The Ten Minute Tutor™? Who created these methods of child-centred learning and why do they work for struggling learners? I did! I’m the smallest child in the photo above. So… let me tell you how it all began. I grew up in a fairly rowdy and excitable household with a loving, but very strict father. 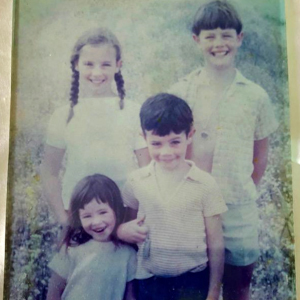 As the youngest of four, I learnt very early on to keep quiet, to watch and observe to stay out of trouble. I loved to read and found it really easy. By the time I turned seven, I was already reading chapter books. I remember with pride, finishing my very first chapter book. 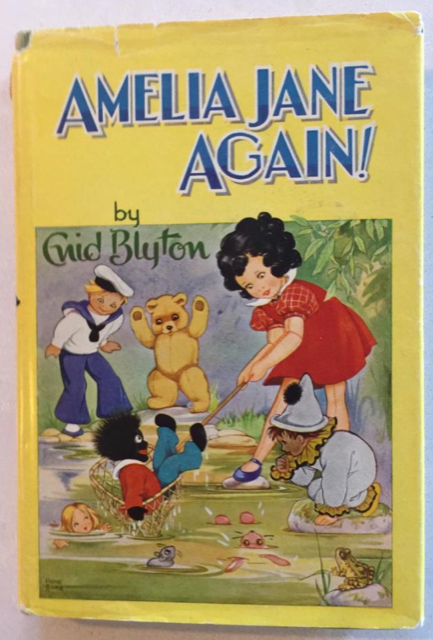 I polished off Enid Blyton’s, “Naughty Amelia Jane Again” all by myself. We were on a family vacation in a tiny cabin at Cape Otway on the coast of Victoria in Australia. The photo above is from that very same trip. With a sense of satisfaction and my heart leaping with excitement, I raced to tell my mum that I had just finished my first ever chapter book. My mum’s response was underwhelming, she wasn’t impressed at all. She just expected that I would be a good reader, just like her. Years later, as a junior school teacher, I watched children in my classroom struggle to learn to read. I applied the lessons I learnt in my childhood, I watched, and observed, trying to figure out why they found it difficult. It was important for me to understand why some children didn’t learn to read with ease, like I did. Over the next few years, from my observations, I began to notice some common behaviors in my students. Some children wriggled and fidgeted, and their eyes darted all over the place. They couldn’t settle to read the words on the page. Some children struggled to remember words that appeared multiple times on the same page even after being told what they were. They would then forget them again on the subsequent pages. Even with lots of help and lessons in phonics, some children just couldn’t break words down or sound them out. Some children had eyes that seemed to tire easily and become fatigued. Looking at the black text on the white page made some squint or blink and rub their eyes. Other children could read loud and proud, but they had zero comprehension of what they were reading, they were simply spewing out words. What do you see when you look at the page? Point to the text and explain to me what you do when you are trying to read? All the things I learned from asking, watching, observing and researching over 10 years, I used to develop the Speech to Spelling Code™ and ultimately The Ten Minute Tutor™. 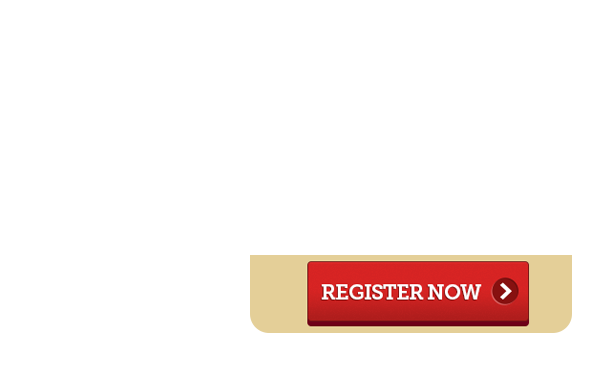 If you want to know more, you can watch me talking about it on a webinar here. The Speech to Spelling Code™ is accessible through the learning platform, The Ten Minute Tutor™. My student observations from years earlier set me on a path to creating a simple solution to teach the reading process. My own children then ignited my passion for sharing this with struggling children all over the world. 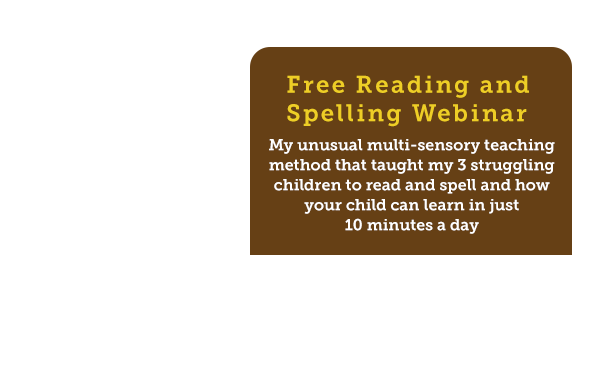 My strategy from day one was to create a multi-sensory way to teach reading and spelling that would suit every child’s learning style because every child is different. Doing what other reading teachers were already doing seemed like a waste of time. If that worked… why were 10-20% of children in every class still struggling to learn to read? So, I spent three years studying the English language. I wanted to make the whole letter-sound symbol code as simple and easy as possible to grasp. Learning to speak is part of who we are as human beings. It’s inherent. Learning to read however, is not. I took what children already knew, which was how to speak and connected the letter symbol code to that. I teach children to identify the 46 phonetic sounds that exist in the English language. I teach this by breaking the learning down in to bite-sized pieces to allow children the flexibility to access lessons when they are willing and able. There are hundreds of 10 minute videos for children to watch and interact with in this program. The literacy component is the Speech to Spelling Code™. 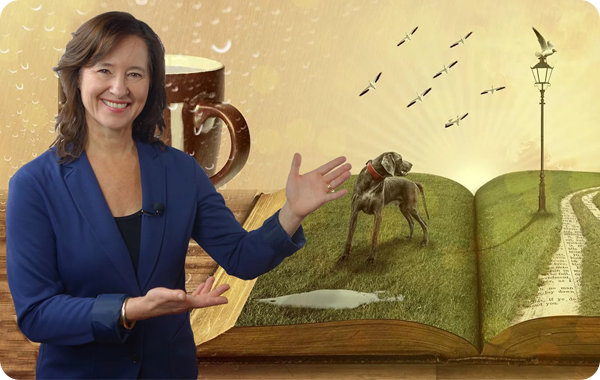 Using multi-sensory teaching I cover; phonics, words and spelling, punctuation and grammar, reading practice with real stories and popular lyrics and empowerment with tips for life and inspirational interviews. This complete online platform is called The Ten Minute Tutor™. 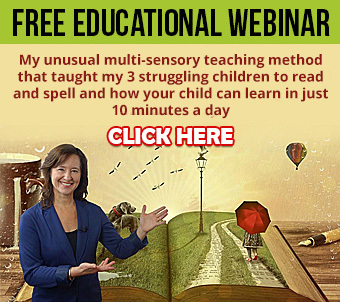 Here is the LINK to the free webinar to learn more about The Ten Minute Tutor™ if you think this program could help your child. There is also lots of information and free resources available on my hub-website Dyslexia Daily. Join Dyslexia Daily to get free resources and blog updates. Using colour, symbols, action and fun in 10 short minutes a day?